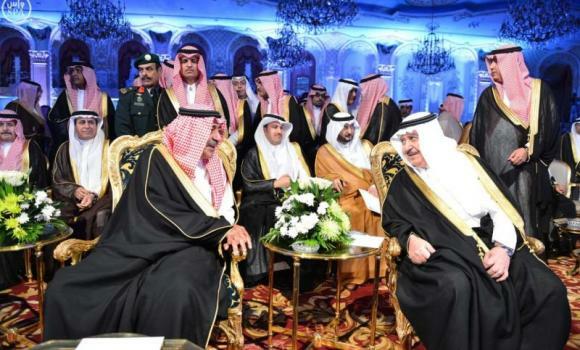 Crown Prince Muqrin, deputy premier, attended a ceremony organized by the General Authority of Civil Aviation and Saudi Arabian Airlines on Monday to honor Prince Fahd bin Abdullah for his contributions to strengthen the Kingdom’s civil aviation. Prince Fahd is both former chairman of Saudia’s board of directors and president of GACA. Sulaiman Al-Hamdan, president of GACA, thanked Prince Muqrin for finding time to attend this special event despite his busy schedule. He announced the anticipated demand for air transport is expected to double by 2030 from 30 million to 60 million flights with passenger numbers jumping from three to six billion.